Months later and its still All Frozen, All the Time around here. Not a day goes by without me hearing this girl belt out her favourite tune. And while I'm ready to move on, I'm kinda cherishing how passionate she is about the movie and the songs, in the way only 5 year olds can be. 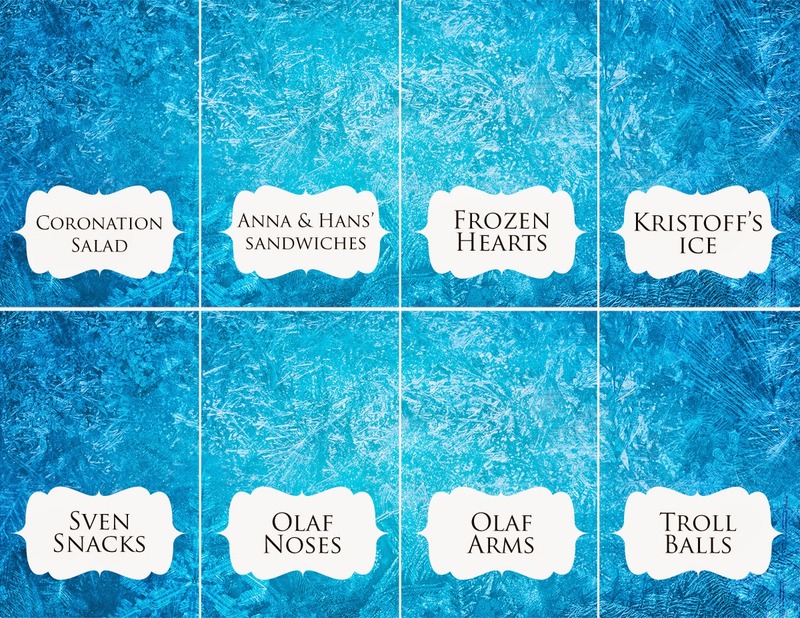 One of my most popular posts of late is, of course, our Frozen birthday party (thanks Pinterest!). 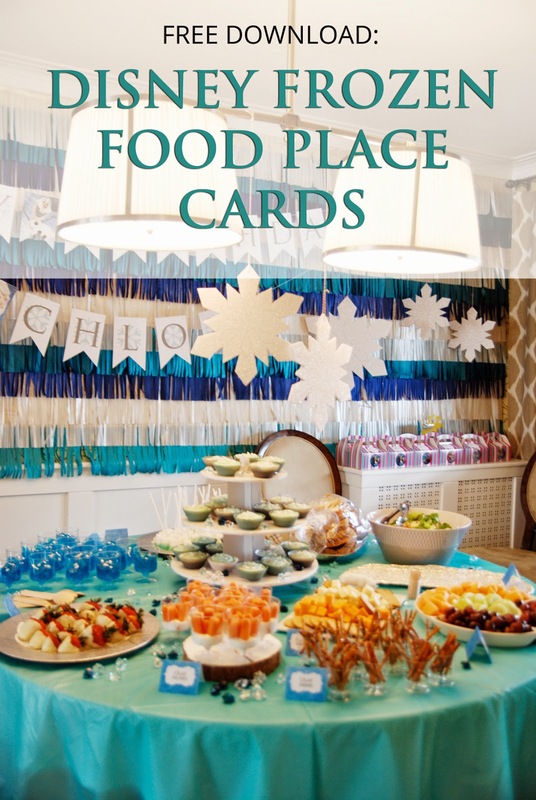 I regularly receive emails asking where I got the food place cards. I made them myself so I'd like to offer them here for download. 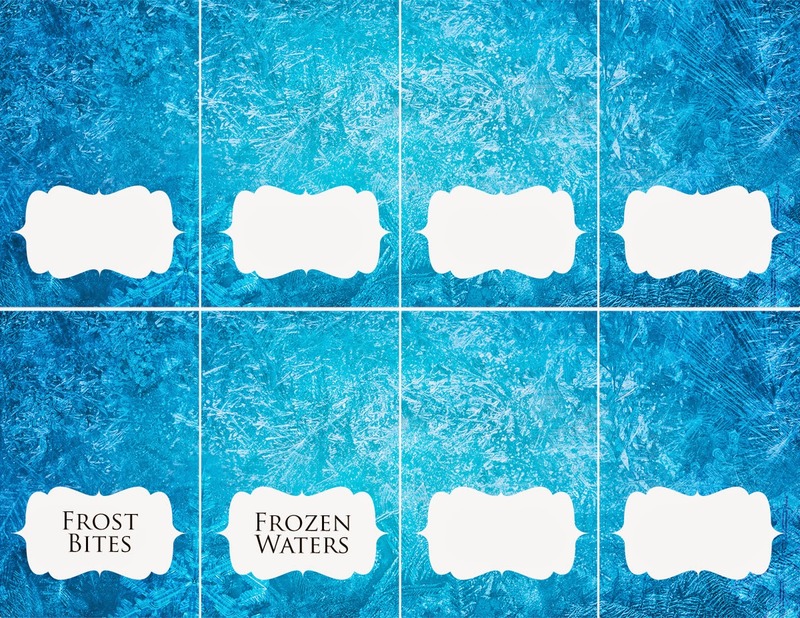 I've included a few blank ones for your creative food ideas. To all you weary parents trying to hunt down Frozen party supplies, pinning everything Anna and Elsa, and dreaming in aqua blue, keep at it. With any luck, your little one will remember this party for a very long time and give you plenty of warm hugs in return!